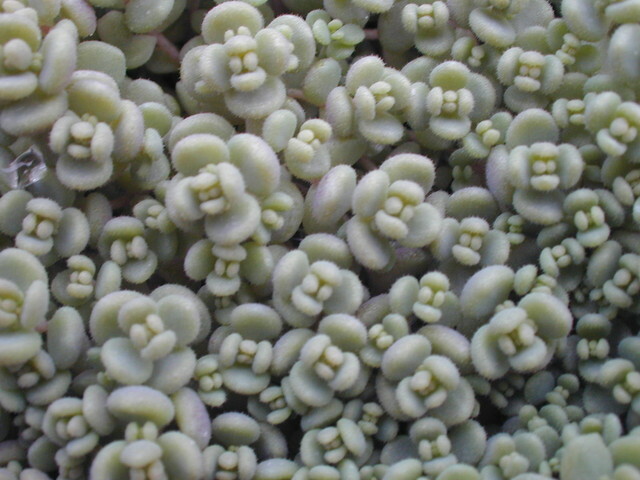 Gray-green leaves on a low mat-forming plant. White flowers in summer. Hardy evergreen.